All too quickly, my time in Dhaka has ended, and I'm back in Europe already. 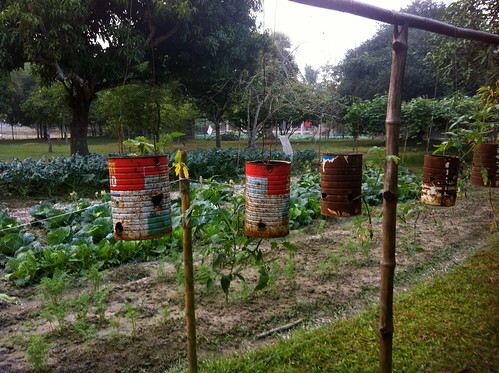 Before I left, I wrote this blog; the side of Bangladesh that doesn't make the news. It annoyed me that in international media, I found there to be a narrative of Bangladesh being at the bottom of the ladder, talked about only as a basket case, one of the poorest nations in the world; almost like the runt of the litter. 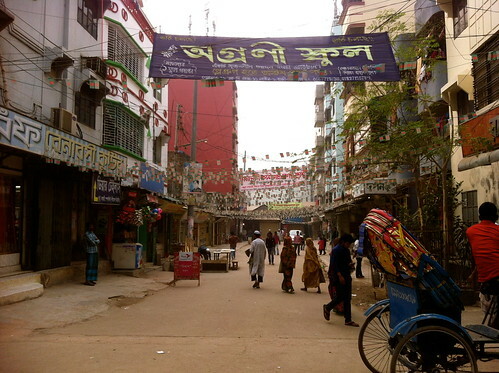 The blog post was intended to highlight aspects of the country that Bangladeshis were proud of. So what I actually saw in Bangladesh shocked me. This narrative that I had been moaning about from Europe is just as pervasive throughout middle-class Bangladeshi culture. The US and Europe are seen as the ideal; the model societies to strive for, the 'one day'. Anything that can be described with “they do that all the time in the US” is, naturally, wonderful. Anyone who studied in Europe is, of course, very intelligent. Having travelled or spent considerable amounts of time in either region is a mark of culture and refinement (never mind what you might have done there). This false hierarchy, sadly rife throughout the cultures I've spent time in, still annoys me. Considering the language used to describe these structures though, it's not so surprising; linearly, from developing country (Bangladesh) to developed country (US/Europe, among others). But there are so many things that I saw within Bangladeshi culture that US and European culture could do with learning from. Of course, there are many, many areas in which Bangladesh has a long way to go on – see my previous blog posts for a couple of examples! – but culture and society is made up of more than that. Here, then, a few areas in which, in my humble opinion, Bangladesh is doing pretty well on, be it out of necessity, or out of choice. Respect for older generations – it's built into the language as terms of respect are used for older members of the family as a matter of course. Perhaps partly as a result, it's unthinkable that elderly members of a family would live anywhere but with their children, and considered as an integral part of the family. For better or for worse, care homes for the elderly don't exist, and I've yet to come across someone's grandparents/elderly aunts or uncles living anywhere but with their children. Recycling – Yes, this is through necessity, but it's still incredible to see how much is used, and reused, and reused again. Ashes scrubbed into pans as a way of cleaning them, old newspapers folded into bags, coconut shells varnished down into coffee cups, to name just a few examples. Family as community – last week, I walked into a restaurant that was run by my cousin's husband's niece's in-laws. On a family tree, we would barely make it on to the same page, but I was welcomed as though I was a close relative, and treated with warmth and kindness as though we had known each other for years. Of course, I was the only one surprised by this. Again, language plays a big role in this – the words for 'cousin' and 'brother' or 'sister' being the same, and used much more loosely than in the technically correct form (as, wonderfully, this Economist article corrected). Resilience – This is one of those cliched compliments, but I had to mention it. A common feature in stories I've heard from my mum's childhood is villagers having to rebuild their entire houses every few years depending on floods or extreme weather conditions. They would lose everything – all of their belongings, their entire homes and shelter, they might even probably lose family members along the way – but they would always simply rebuild and start again afterwards. Yes, this is tragic, and yes, it shouldn't happen, but I still admire their resilience and strength. Shahidul Alam's photos from the 1991 cyclone contain some strong images of this. Strong women – both physically, and mentally. Walk down the road in Dhaka, and you'll see women carrying heavy loads on their heads, while perhaps looking after a child or two and you know that they're undoubtedly responsible for feeding and clothing the entire household. Balancing these responsibilities, while living in extreme poverty, without state support, and all the while not complaining is truly nothing short of heroic. Self-reliance – Again, it's tragic that citizens assume they can't rely on the government to provide basic services, but the way that the lack of basic services is dealt with is kind of wonderful. This does however bring up an entirely different side of the story – a society with such a lack of social contract between citizens and government results in a complete lack of transparency, which in turn is inevitably a breeding ground for corruption, but on the lighter end of the scale the creativity sometimes employed is interesting. For example, during strikes, when cars aren't permitted to go on the road, it became usual to rent out ambulances for essential travel, as it's assumed, and I hope it stays this way, that nobody would attack an ambulance. As my uncle noticed– people with access to ambulances must be the one section of society earning a lot of money from strikes! Bangladeshi pride – there's sides to this that I like, and sides I don't. The side that I do is the fact that, despite the narrative I mentioned at the start of this article, people are proud to be from Bangladesh, and they want to help change the country for the better. Much of the literature I've read around South Asia has mentioned immigration; people managing to 'escape' the poor countries for a better life in the richer world, but very little of it has touched upon people coming back to their native countries. This is something that I was happy to see – people who had the experience and the opportunity of living in rich-world countries, and chose instead to come back and use what they had learned to make their way in their home country, hoping to contribute to making it a better society for all. Respect for education – I remember once my mum saw a book I had on the floor, and to my mind, overreacted entirely, telling me to look after my books better. The book, for her, represented access to knowledge, and in turn, this knowledge opened up a whole world of possibilities, away from poverty and low standards of living. This attitude of respect for education can be taken too far (the “tiger mom” phenomena comes to mind) - but it's true that having access to education can, and has, led to an increase in quality of life for millions in Bangladesh. Even accessing as basic a level as learning how to read, or attending school until early teens– levels of education that we, in Europe, take completely for granted – has changed the realm of possibilities for millions. Artistic heritage – weddings are a good place to see just how much some beautiful traditions have remained in present day culture. 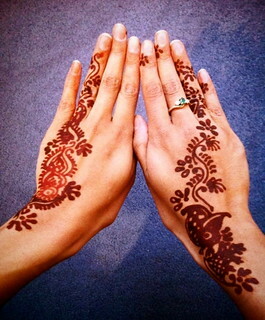 Mehndi for one, dancing and music for another. Unlike in the UK at least, these more traditional art forms aren't seen as 'old fashioned', but instead are embraced by younger and older generations alike. In the spirit of fairness, I should also point out that there are aspects of the culture that shocked me for the worst reasons; obviously, nothing is 100% as rosy as I've painted here, so I'll cover those in another post. My aim in all of this is to encourage a more rounded discussion of the country, so if I've missed out anything, or not been accurate, please do let me know, @zararah.